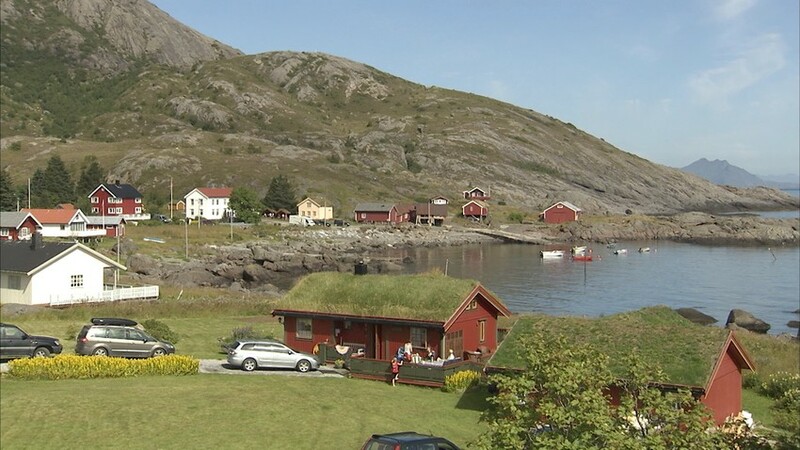 Nesland is an example of a traditional small fishing harbor in Lofoten from the 1800s. The harbor was used by the traditional fishing boats with oars and sail, but was not applicable for the larger motorized fishing boats that were common after 1910. The place became abandoned, and today Nesland an idyllic resort.